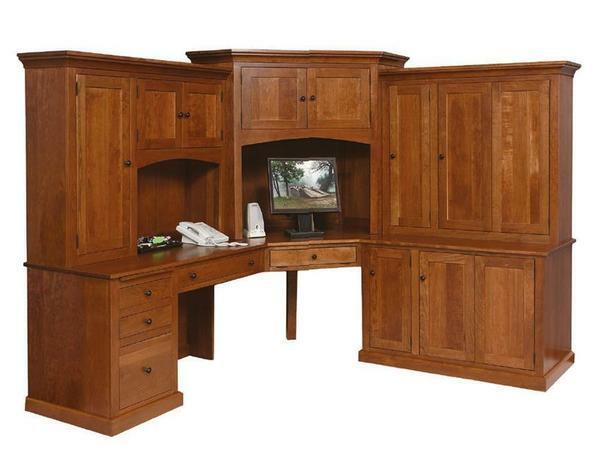 This large corner computer desk will transform your work space into the ultimate office. With tons of storage cabinets, drawers, & pull-out shelves, you are sure to have space for everything. Select your wood, finish, & hardware options for a custom look that will match your office decor and personal style. For additional information or custom ordering assistance, contact one of our knowledgeable Amish furniture specialists.